Roughly 19 per cent of the total infrastructure projects undertaken by the Central government is running behind schedule or have overshot original cost estimates by at least 13 per cent. NEW DELHI: Roughly 19 per cent of the total infrastructure projects undertaken by the Central government is running behind schedule or have overshot original cost estimates by at least 13 per cent. According to a government report, out of the 1,332 projects, 253 are running behind the schedule leading to a loss to the tune of `2.23 lakh crore to the public exchequer. The original cost of implementation of the 1,332 projects estimated at 16, 26, 675.52 crore has now risen to 18,49,766.91 crore, claims a new report by the Ministry of Statistics and Programme Implementation, which monitors on-going central sector infrastructure projects costing `150 crore and above besides cost overruns, on the basis of information provided by the project implementing agencies. Power sector tops the list with the maximum number of delayed projects. Of the total 114 power sector projects, 61 are running delayed in many parts of the country, closely followed by railways with as many as 46 out of 330 projects running behind the schedule. 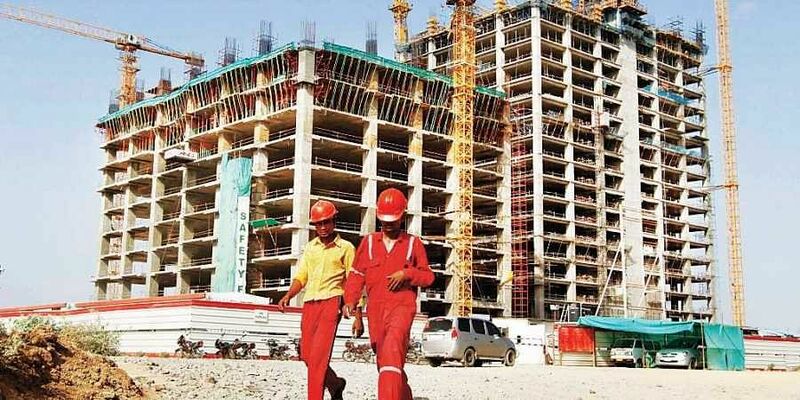 Roughly 45 per cent (20 out of 43) of the ongoing urban development projects too are delayed, claims the report. Despite having undertaken the maximum number of projects (543) — the road, transport and highway sector has witnessed a delay in only 32 projects. The officials concerned claim that the reasons for the delay in the execution are mostly project/sector specific and depend on a variety of technical, financial and administrative factors. Delay occurs due to multiple reasons, such as poor performance of contractor, utility shifting, delay in environment or forest clearance, land acquisition and law and order problems, said a senior official in the ministry. According to the report, the major reasons of cost shooting up as cited by the implementation agencies is the under-estimation of the original project costs, changes in rates of foreign exchange and statutory duties, high cost of environmental safeguards and rehabilitation measures, spiralling land acquisition costs, shortage of skilled manpower/ labour, changes in project scope, monopolistic pricing by vendors of equipment services, inflation and time overruns. Officials claim that the Prime Minister’s Office conducts monthly “Pragati” meeting to review the progress of big infrastructure projects in the country and issues necessary guidelines to the concerned ministries, besides the respective ministries conducting project appraisals at regular intervals. The on-line computerised monitoring system (OCMS), setting up of revised cost committees in the ministries for fixation of responsibility for time and cost overruns and regular review of infrastructure projects have also been undertaken to curb delay and cost overrun, they added.